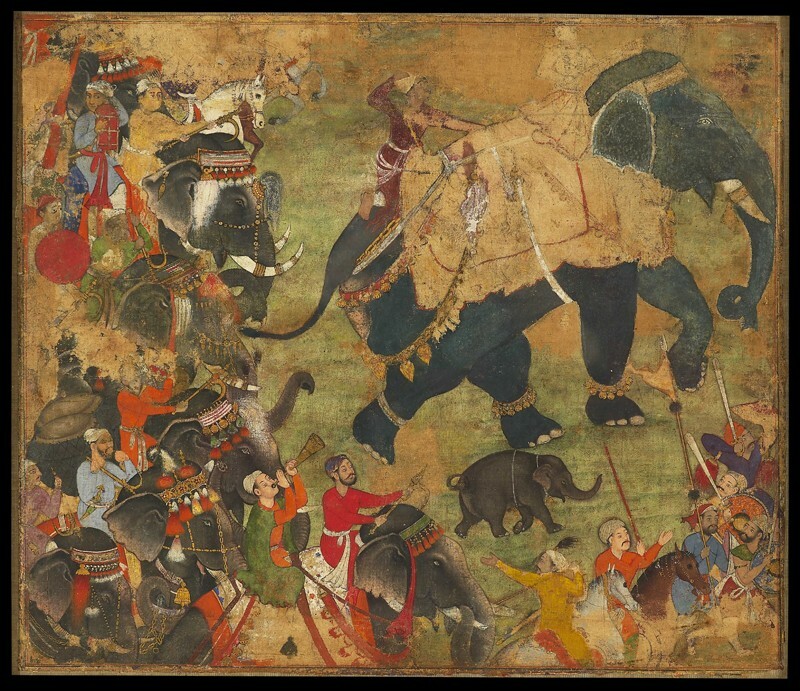 This fragment of a larger painting on cloth was made for Akbar at the same period as the Hamzanama series. A prince, perhaps Akbar himself (now only seen in the original under-drawing), rides a large elephant at the head of a lively royal procession of elephants. 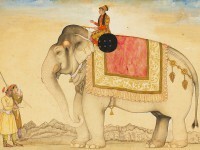 The upper part of this painting is in the Indian Museum, Calcutta. Cloth-paintings of this kind were probably displayed within the emperor’s tent quarters on his travels and campaigns.